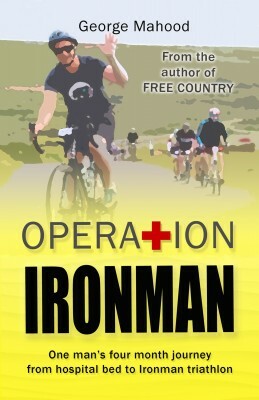 Operation Ironman follows George Mahood’s inspiring and entertaining journey from a hospital bed to an Ironman triathlon. After major surgery to remove a spinal cord tumour, George set himself the ultimate challenge – a 2.4 mile swim, a 112 mile bike ride, and a 26.2 mile run, all to be completed within 16 hours. He couldn’t swim more than a length of front crawl, he had never ridden a proper road bike, and he had not run further than 10k in 18 months. He had four months to prepare. Could he do it? He couldn’t swim more than a length of front crawl, he had never ridden a proper road bike, and he had not run further than 10k in 18 months.